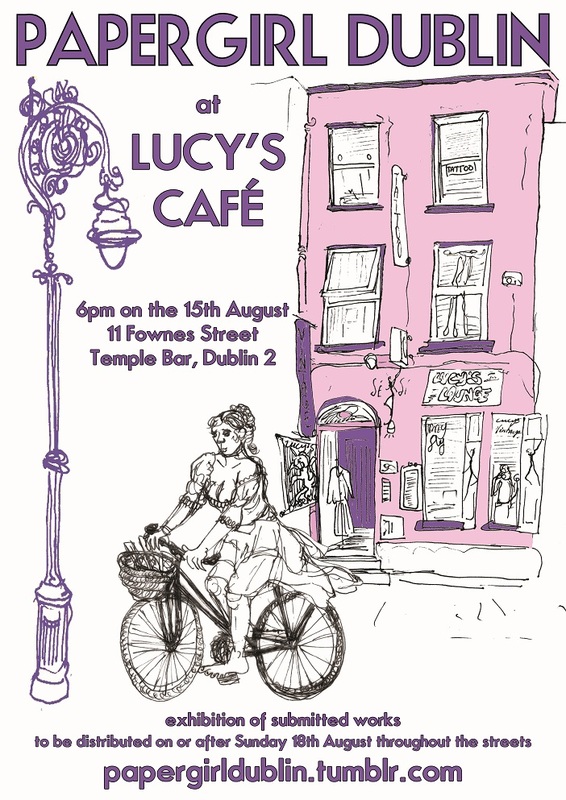 The Papergirl Dublin Exhibition will be on 15th August 2013 at Lucy’s Café (upstairs in Lucy’s Lounge), 11 Fownes Street, Temple Bar, Dublin 2. I have some postcards in the exhibition. A poster for the event is below.